What is TB and how do I get it? TB — or tuberculosis — is a disease, caused by bacteria, that can spread from one person to another. Most often TB affects the lungs, but you can find it in any part of the body. TB bacteria spreads through the air in tiny droplets when a person who is sick with TB in their lungs coughs, sneezes, or speaks. You get infected with TB bacteria, but your body does not control it and you get sick (called active TB disease). Latent TB infection can turn into active TB disease. That is why getting tested and taking medicine for prevention is important. 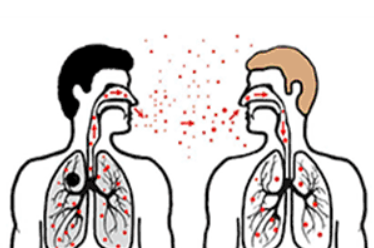 People with latent TB infection do not have any symptoms. Who is at risk for getting TB? Unlike many vaccines that are very good at preventing disease, the bacille Calmette-Guerin (BCG) vaccine has limited benefits. It prevents the most serious TB symptoms in infants and young children. It does NOT prevent you from getting TB infection if you are exposed or developing active TB disease if you have TB infection. How do I get tested for TB? There are two tests that can tell if you have TB bacteria in your body: a skin test and a blood test. 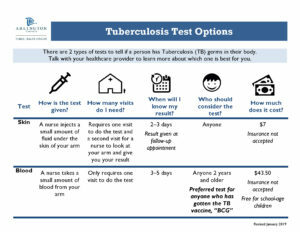 For more information about these tests, see the TB Test Options Fact Sheet. To get tested, call your medical provider or the health department at Arlington County, Department of Human Services at 703-228-4980. Yes. Latent TB infection and active TB disease can be treated and cured by taking all the medicine your medical provider orders. 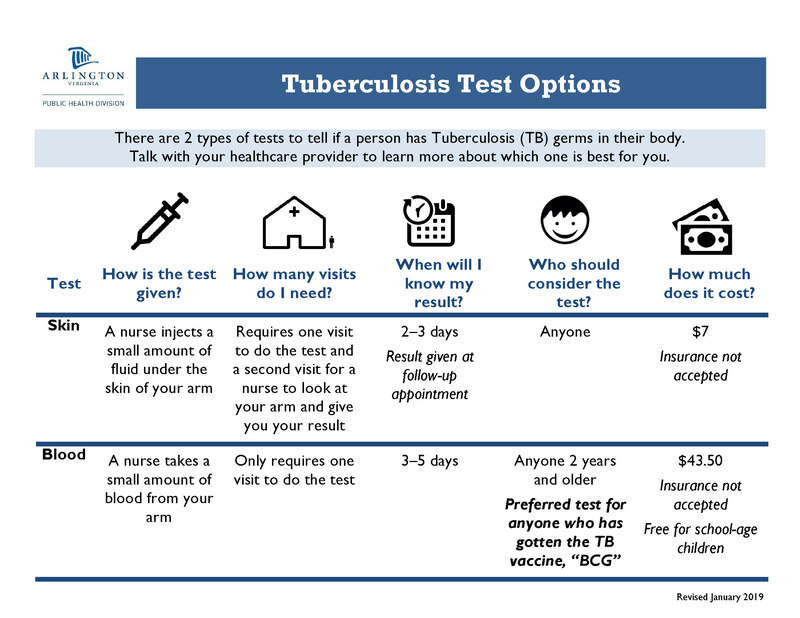 If you have TB risk factors or TB symptoms, call your medical provider or the Chest Clinic at Arlington County Department of Human Services at 703-228-4980. If you live outside of Arlington County, contact the Virginia Department of Health for your local health department. This material is provided in partnership with the NOVA TB Taskforce/TB Mass Media Educational Campaign.